The University of Montana student group for management information systems majors has been recognized as a Distinguished Student Chapter by the Association for Information Systems, a worldwide governing body for MIS professionals, educators, and students. The award represents the 8th consecutive year the student group has earned AIS recognition. The Montana Information Systems Association, or MISA, is the College of Business membership group for students studying MIS, which prepares graduates to work as IT consultants, systems analysts, business analysts, programmers, database administrators, web developers, network administrators, and more. The Association for Information Systems annually recognizes chapters that excel in areas such as professional development, membership, careers in information systems, community service, fundraising, and communications. This isn’t the first time MISA has earned the Distinguished Chapter designation, and in past years, it has received recognition from AIS for outstanding membership activities, fundraising, careers, and communications. MISA activities include events like the fall 2018 Storytime with the Professors, tours of potential workplaces, and a holiday party and networking event held on the top floor of Missoula company onX Maps. The latter event was held with major support from onX, ClassPass, and FAST Enterprises. 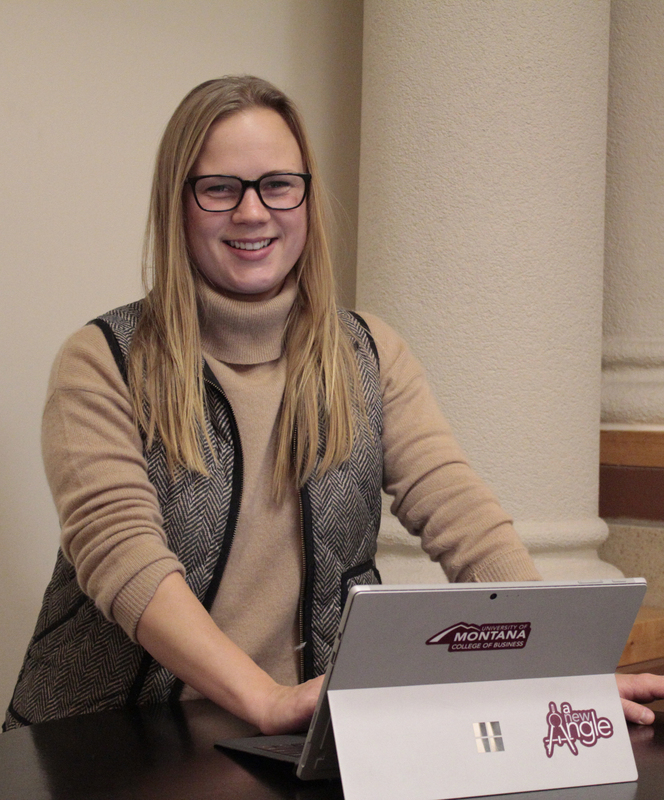 Business student Emily Brinkmann, who served as MISA president in fall 2018, said that being involved with the group gives members a more personalized look at the MIS major and provides networking opportunities with other business students. Brinkmann credited MISA’s fall 2018 vice president Colton Kloppel, for his work preparing the written submission that led to this year’s recognition. MIS Professor David Firth, the group’s adviser, said the students work hard to host interesting events and speakers that appeal to all majors, not just MIS majors. This holistic approach has helped MISA continue to grow, he said. “We’ve spent a good deal of time developing leadership skills in our MIS majors, and one of the results has been outstanding leadership of the student MIS group,” Firth said. UM MIS majors have incredible track record of career success: Ninety-four percent of students in the major have a job at graduation, with more than half having multiple job offers to choose from. Top employers include respected companies such as ATG, a local technology consulting firm doing over $40 million of work outside Montana; KPMG, a global technology consulting firm with MIS majors at offices in San Francisco, Los Angeles, Seattle and Portland; and FAST Enterprises, which is based in Denver and does technology implementations with MIS majors in places like New York, Washington D.C., Boston, and Wellington, New Zealand. Photos: Top, business students Jake Belles, spring semester 2019 MISA president, and Allie Taylor, MISA Vice President, give the opening presentation at the group's first meeting of 2019. Inline, fall semester 2019 MISA president Emily Brinkmann.